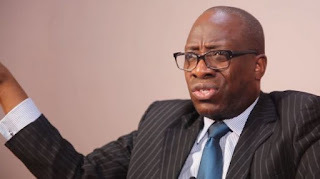 The spokesman of Atiku Presidential Campaign Organisation, Segun Sowunmi, on Thursday said the fall of the National Leader of the All Progressives Congress, APC, Asiwaju Bola Tinubu, from political grace was imminent. Speaking with journalists in Abuja, Sowunmi said Tinubu’s remarks about the presidential candidate of the Peoples Democratic Party, PDP, Atiku Abubakar, was self delusional. He said: “It is only a man of questionable pedigree whose certificate are dogged with a lot of confusion;whose parental background is pretty much unknown; whose state of origin is opaque and unclear that can understand how life is in the jungle. “If Asiwaju Bola Tinubu means that his life is in a jungle, we want to say to him that pride goes before a fall.Those who disdain men that are going to contend with them for the goodwill and votes of the Nigerian people with careless talk is what we find even with Buhari. He further said his principal would, if given the mandate in 2019 and beyond, do four things for Nigerians- job creation, expansion of the economy, uniting the country through restructuring, and overhaul of the country’s security architecture.